Well, Halloween has come and gone. Tammy organized a Halloween Extravaganza at her school this weekend complete with face painting, balloon animals, trick-or-treating and a Haunted House. 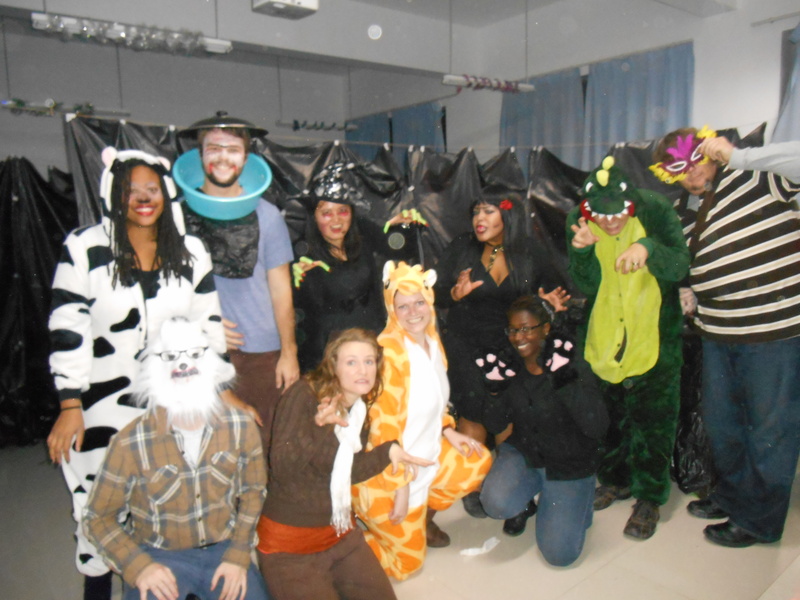 It was so much fun and meant a lot to the university students who had never in their lives celebrated Halloween… can you imagine? Here is a picture of everyone following the Haunted house. You can see that Taylor was the floating head. I think everyone had a really good time. 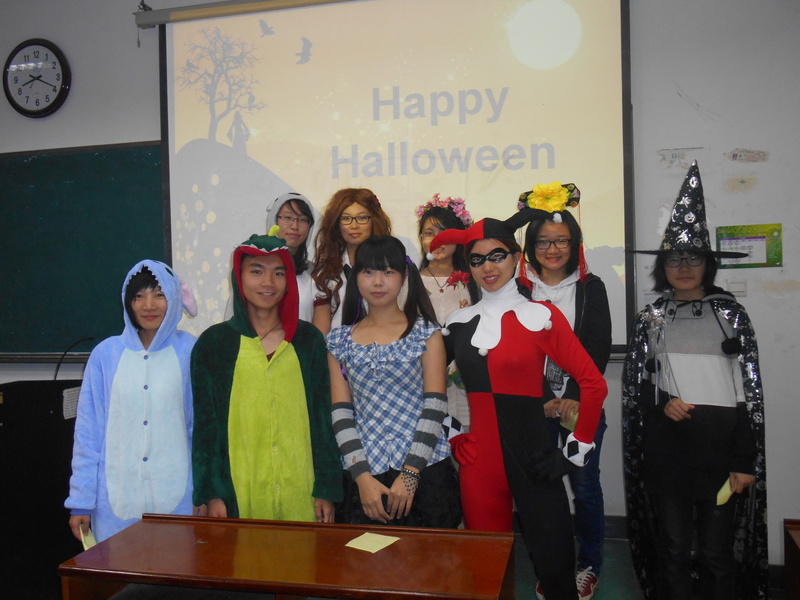 For my classes this week, I had a Halloween party and Costume Contest. It was so much fun to see what everyone dressed up as. 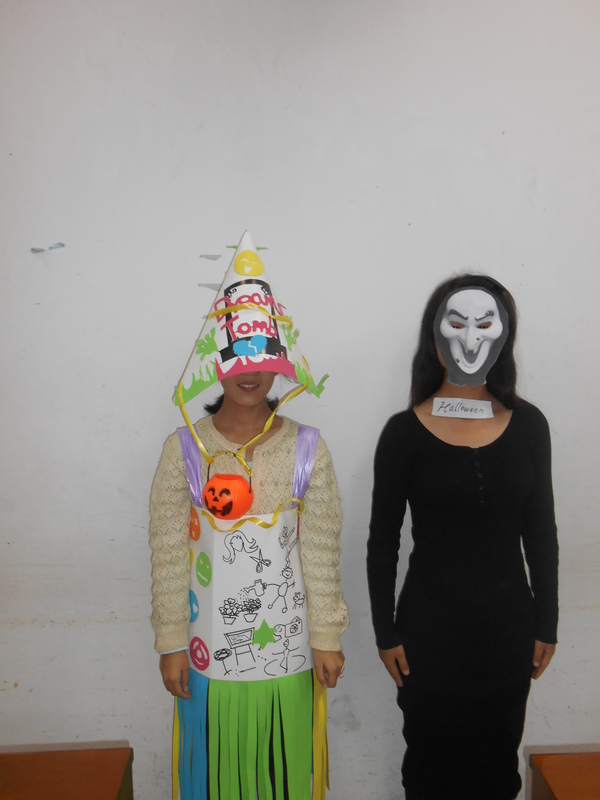 Some of the classes were really creative. I told them they could come up with homemade halloween costumes if they wanted and had one girl come as a dream catcher. It was really cool. 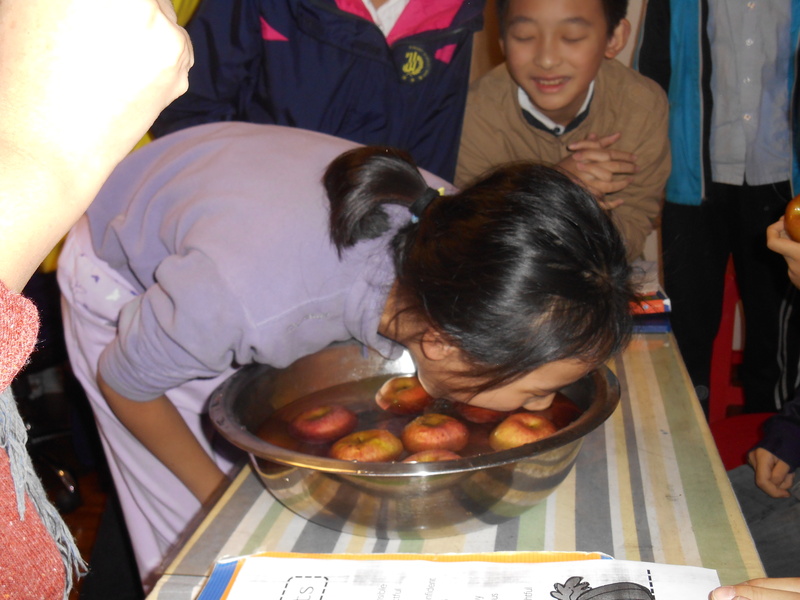 Here are some of Jenny’s students bobbing for apples. They had so much fun, and gave me giant bear hugs at the end of class. Next Post What is a Blind Massage?